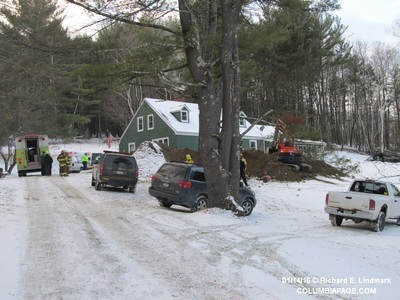 Columbia County 911 dispatched Lebanon Valley Firefighters and Chatham Rescue at 3:18pm for a reported trench collapse and one subject trapped at 2439 Route 5 in the Town of New Lebanon. Command requested mutual aid from the Colonie Fire Company Trench Rescue Technical Rescue Unit. 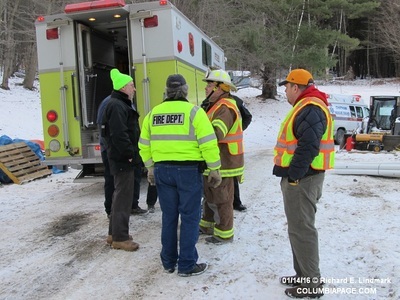 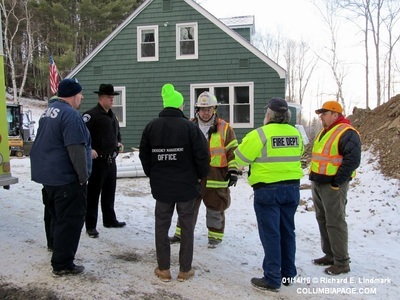 The Columbia County Fire Coordinators Office, Columbia County Emergency Management Office and Columbia County Coroner Michael Blasl and the New York State Office of Fire Prevention and Control were on the scene. 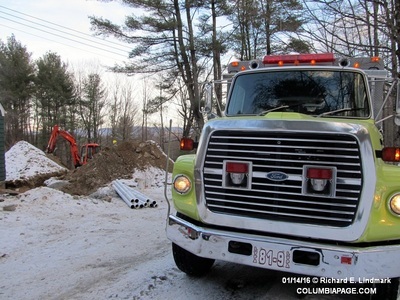 Firefighters were back in service at 8:24pm. 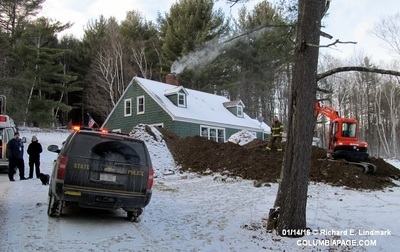 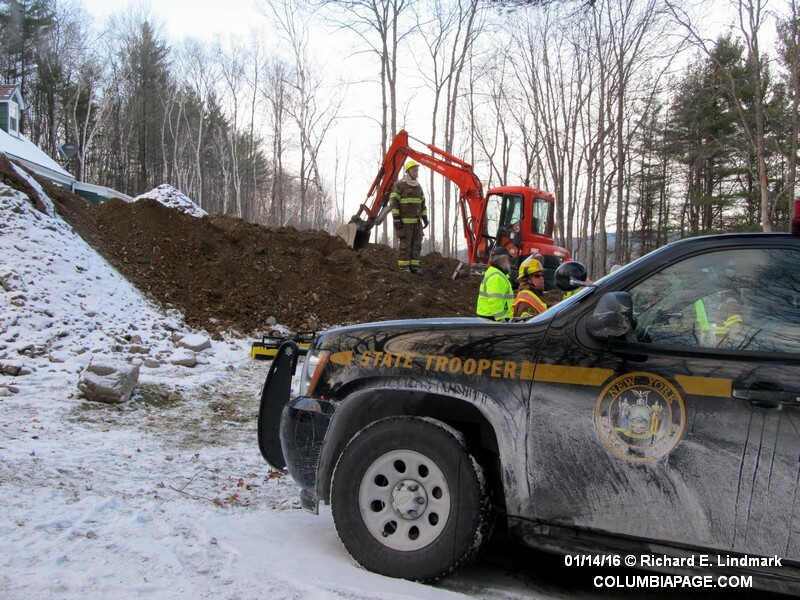 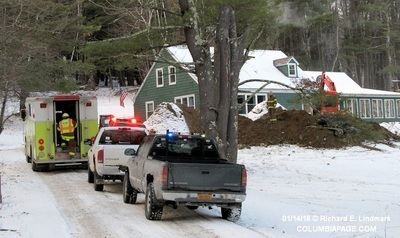 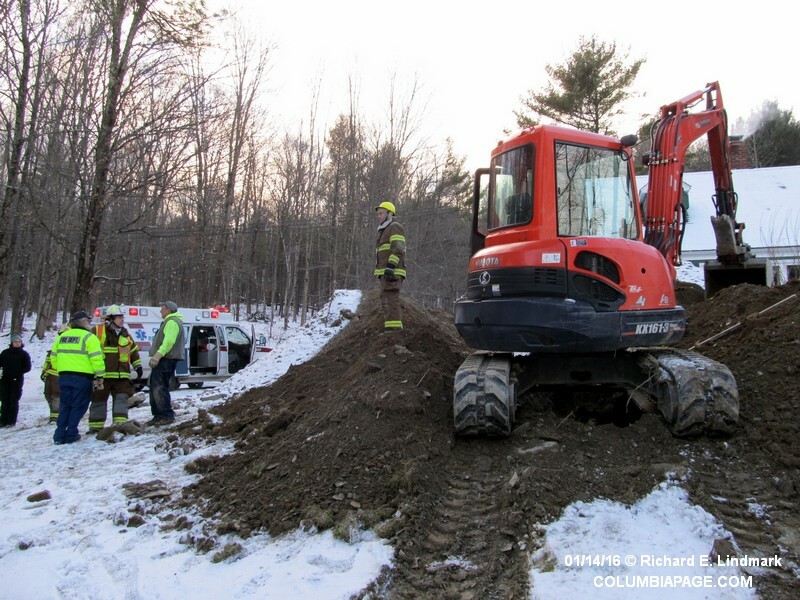 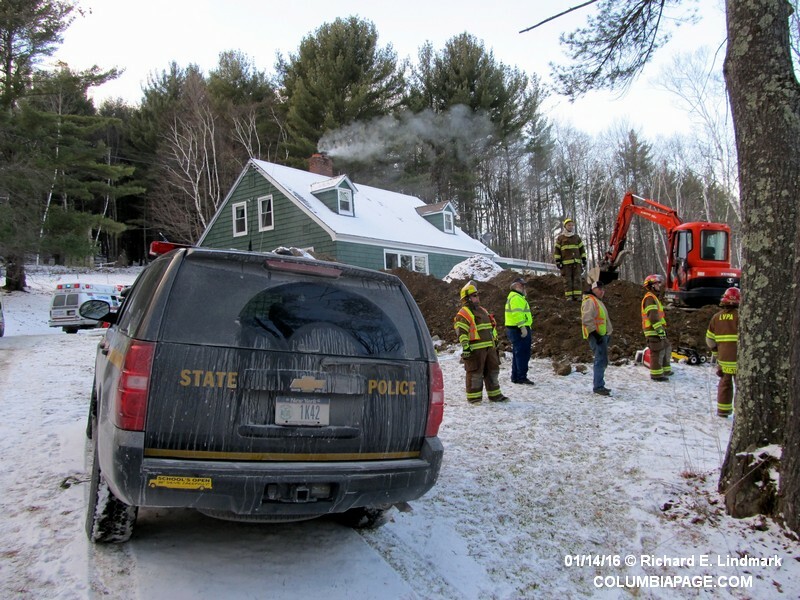 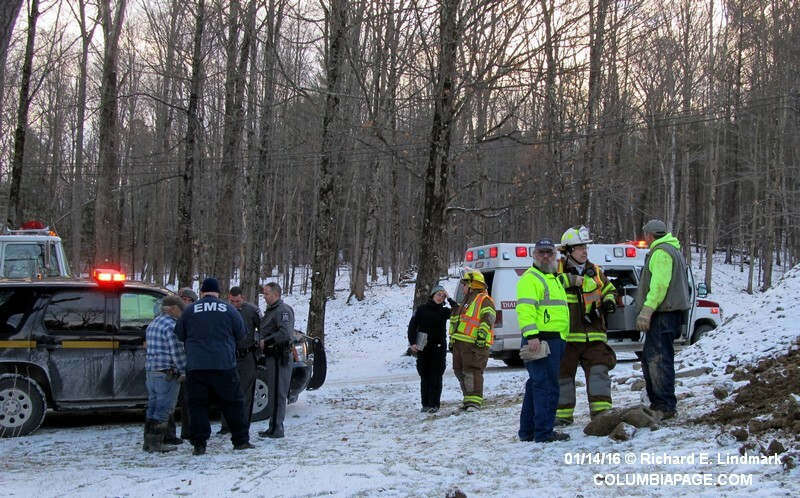 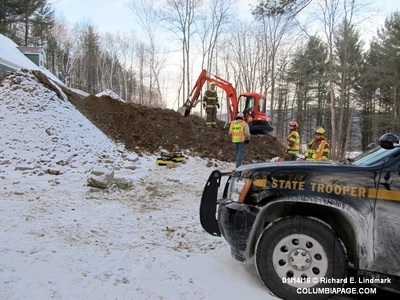 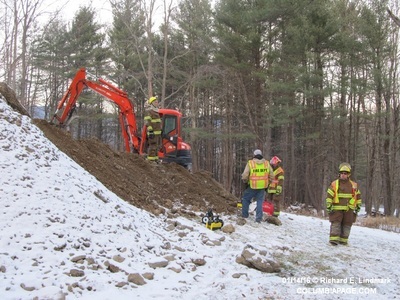 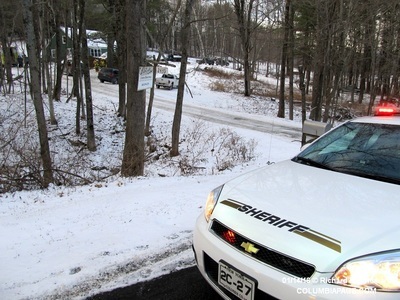 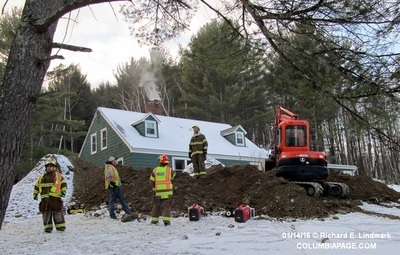 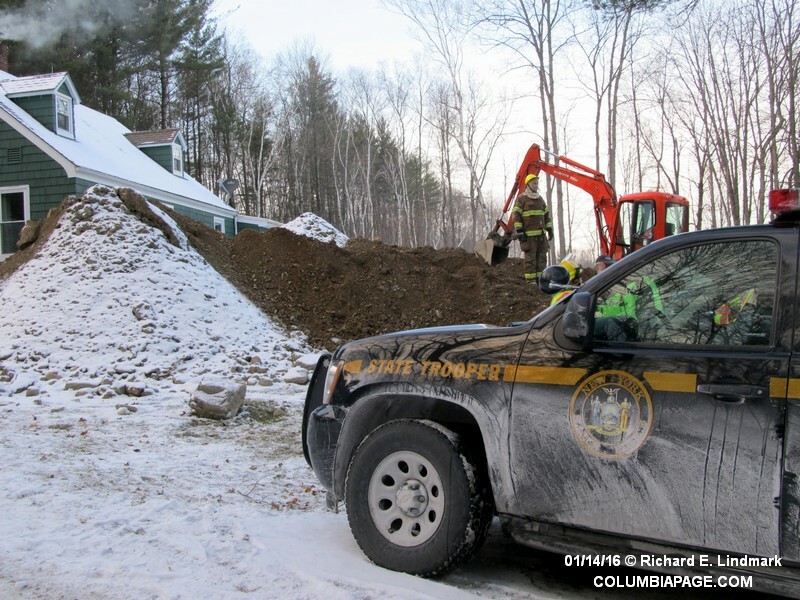 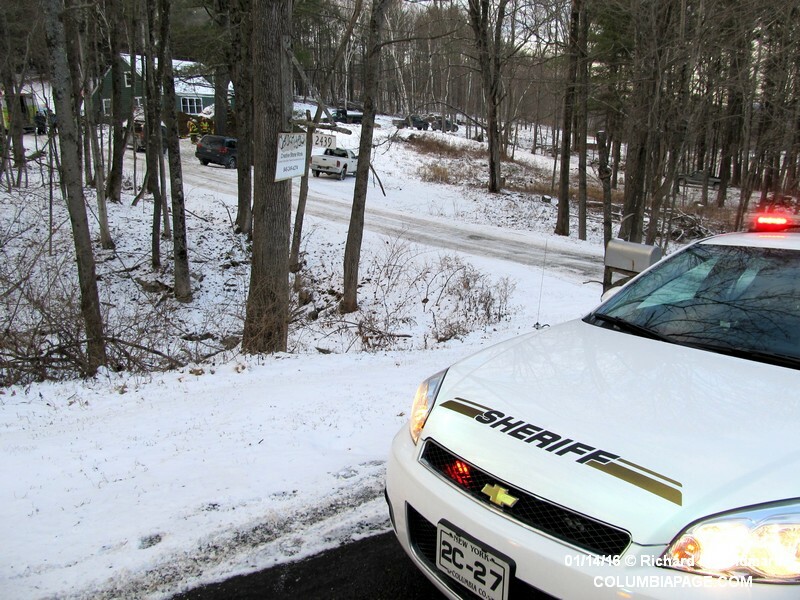 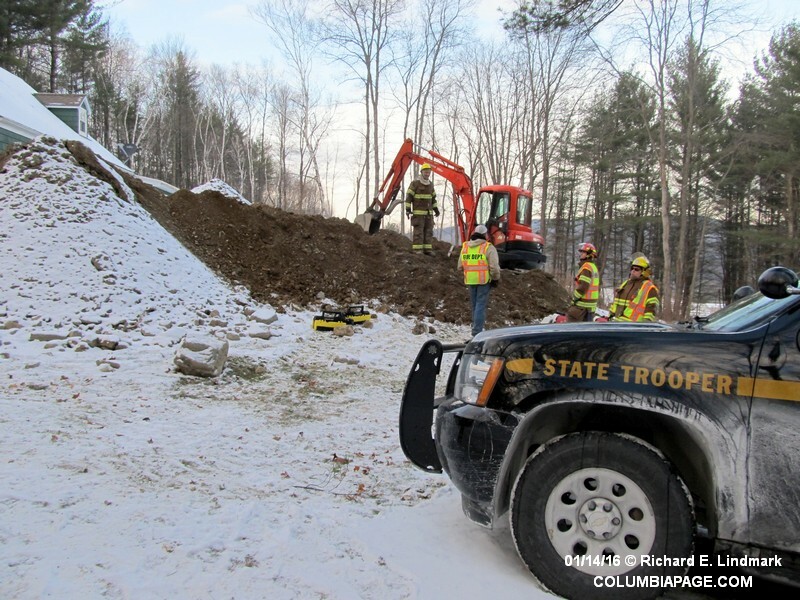 New Lebanon, New York - On January 14, 2016 at approximately 3:15 p.m., New York State Police from the New Lebanon barracks were dispatched by Columbia County 911 to assist Lebanon Valley Fire and Chatham Rescue with a construction site accident that occurred at a private residence located on Route 5 in New Lebanon. Jesse R. Finley, age 38, of New Lebanon, was assisting a family member install footing drainage around the home. 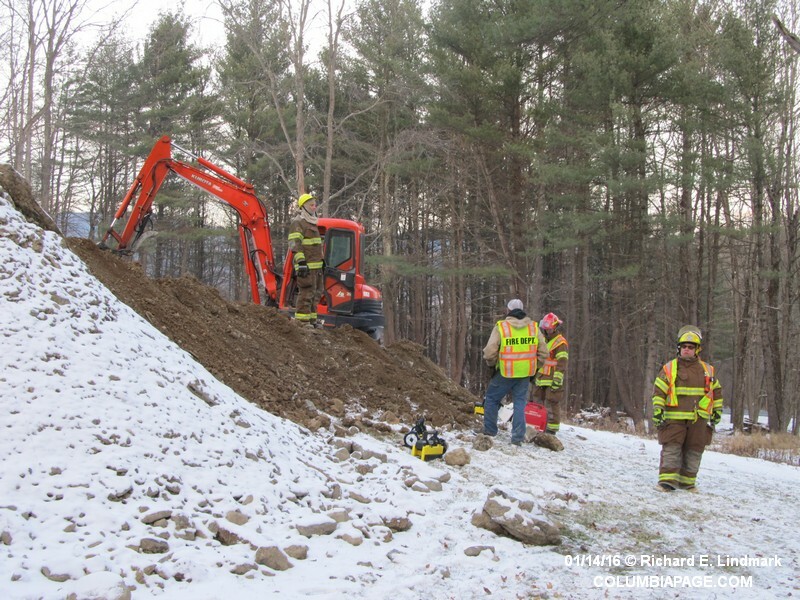 Finley was inside of the 8' deep ditch connecting drain pipe when the sides of the trench collapsed, burying him. 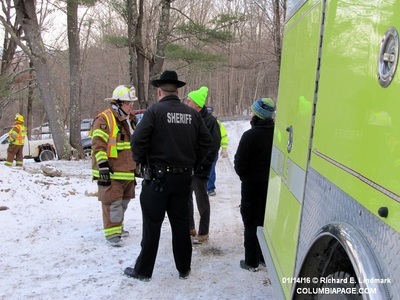 Despite rescue efforts attempted by Finley's family and first responders, Finley was pronounced deceased at the scene by Chatham Rescue Squad.